In many ways, the images on your website, marketing flyers, and other materials do more good, and can do more damage, that the words thereon. A sharp and pleasing image draws attention immediately, and the visual appeal often means a higher conversion rate. Many times, images also tell stories more effectively than a word. That’s especially the case with infographics and other such items. At the same time, potential customers quickly discount images which seem off in any way. Fuzzy or non-pleasing images may also feed negative comments on social media. 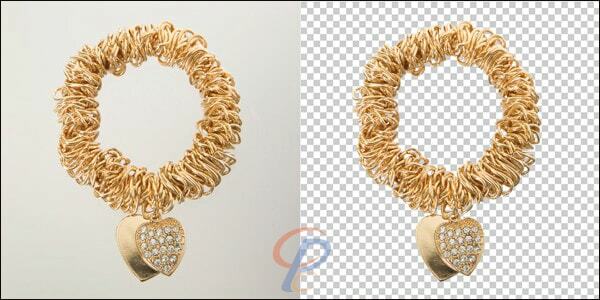 At CLIPPING PATH CENTER, we offer Graphic Design Services which make a difference to your bottom line. Our designers and photo retouchers help ensure that your product or service projects in a positive light. Curious browsers then become committed shoppers. Moreover, our graphic design services help you avoid expensive retooling and reshoots while giving you more options in terms of the images you use. Given today’s visually-oriented consumers, these services are even more valuable today than they were before. Graphic design services may be the most cost-effective way to broadcast your message to potential buyers. Therefore, we offer a full range of options in this area. Some of our more popular alternatives are highlighted below. Just like different apparel colors can alter a person’s appearance, when it comes to image quality and appeal, subtle alterations make a big difference. A slightly-different background may create almost a 3D effect. The same is true for the image itself. For example, a well-placed shadow on a model’s image can change the way apparel looks to the consumer. At the same time, it is important that the images do not look fake or altered. 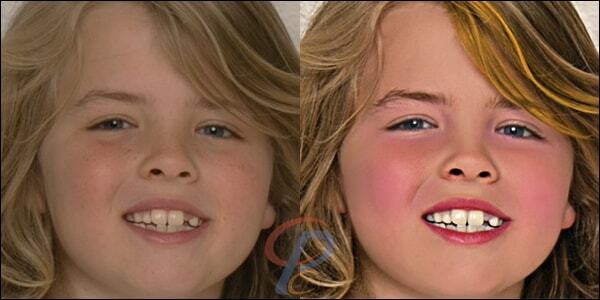 The science of clipping path tools creates that new, natural look. Rather than simply gloss over images, our photo retouchers meticulously re-create the photograph and incorporate the desired changes. 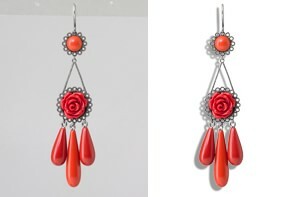 The profound effect makes clipping path one of our most popular graphic design services. An inappropriate background seriously weakens an image as a marketing tool. Unattractive backgrounds draw attention away from the primary image. The opposite is true as well. A too-colorful or eye-catching background has the same effect. Many times, until one sees the final product, it is impossible to tell that the background will be an issue. By that time, your options may be limited to discarding the image or starting over. Background removal eliminates both these problems and gives you new options. Without affecting the primary image, it’s possible to remove the existing photo background altogether and replace it with a transparent backdrop. So, your customers only see your product or service, and they see it in a more positive light. Digital technology makes it possible to combine two or more photographs into one image. But issues like different light source locations make the final product appear artificial. An unreal image has the same effect as unreal computer graphics in a movie. The audience spots the fake straightaway and discards the message. Photo masking really means adjusting the image transparency level. But instead of covering the entire image, this graphic design services tool lets our photo retouchers adjust certain areas of the photograph. So, the multiple images appear as one natural photograph. The possibilities are almost endless, especially considering the different types of marketing functions a single image must fulfill. In today’s global e-Commerce environment, images must appeal to multiple audiences with multiple cultural and ethnic backgrounds. That’s especially true with regard to t-shirts, dresses, coats, hats, and other apparel. This issue comes up in other contexts as well, such as sports gear or motor vehicle accessories. Digital images sometimes go on multiple websites or different marketing materials. Rather than re-shooting the image or using a secondary choice, image manipulation changes only certain parts of the picture. For example, if you sell blue jeans in different countries, or even in different parts of the same country, it’s possible to have a new model with each image. This tool is much more cost-effective than re-shoots and gives you much more flexibility. Almost since the dawn of digital image production, this graphic services tool has saved countless hours of labor. In a nutshell, rather than discarding the image because of a minor flaw, photo retouching saves the image and enables photo retouchers to make it right. Due to advancing technology, photo retouching has moved far beyond cover-ups and other surface changes. It is now possible to adjust the pixels in the image. Make changes to a human model’s appearance or adjust the look of a certain product to present it in different ways. Once again, this tool increases options. Rather than choose between two or three “good” pictures, photo retouching makes every exposure a “good” one. Photographed images are usually made of pixel squares, and drawn images largely consist of geometrical lines. It was possible to convert one to the other, but only after a labor-intensive process that often compromised image quality. 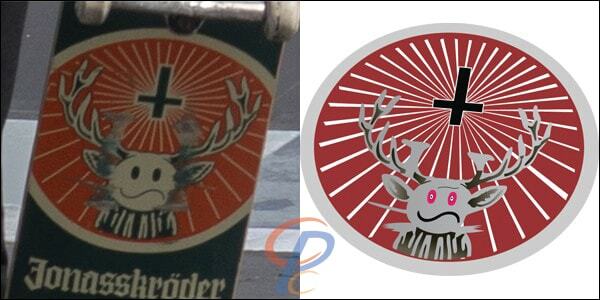 So, incorporating a digital photograph into a product logo was a dicey proposition. Thanks to a raster to vector conversion tool, our designers can trace the images. So, the transition from raster to vector, and vice versa, is fast, seamless, and effective. Design possibilities that did not exist a decade ago are now within your grasp. That difference is a significant plus for your e-Commerce or other marketing effort. Many marketing campaigns use older photographs to capitalize on their nostalgic value. These images also give your product or service a timeless appeal which resonates with many customers. But due to neglect, trauma damage, age, or other factors, these images may be unsuitable for use. Today, photo restoration is part art and part science. Our photo retouchers painstakingly remove rips, tears, and other physical damage scars from the image. Then, they use advanced digital retouching tools to adjust image color, contrast, sharpness, and other qualities. As a result, details that were once lost to time come alive in your marketing or other material. One of the most consistent e-Commerce complaints is that the product’s color did not match the color on the marketing image. Affected individuals often leave negative reviews on social media, and this feedback can seriously damage your business. The color correction process takes care of this issue. Without overly altering the image and making it look artificial, our photo retouchers can subtly adjust poorly-lit or underexposed images. This graphic design services tool is especially ideal for products which are available in multiple colors. Now, you can re-use the same image instead of going back to square one. Slight imperfections on an image, like facial shadows, make the picture appear flat and lifeless. In many cases, the viewer’s attention drifts away from the primary image and onto the background. That’s no way to present a product to the public. Through image enhancement, our professional photo retouchers remove these surface imperfections, so the image pops off the screen or paper. 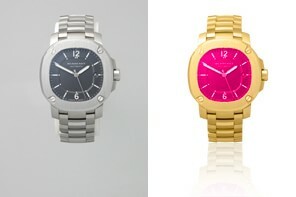 Our photo artists also deepen the image to separate it from the existing background. The end result is a much more realistic-looking image with sharper contrasts and richer colors. Even in a digital environment, cutting and pasting a photograph left noticeable scars. Today’s savvy consumers identify these scars and label the image as “fake.” That label effectively derails the most well-thought-out marketing or sales campaign. Today’s deep etching tools are one step ahead of consumers. The etching really involves adjusting the color palate while leaving the original image in place and adding a nearly-transparent layer. Instead of physical scars, viewers see more colorful and vibrant photographs. This graphic design service adds translucent layers to a photograph, so you can add text, colors, or just about anything else to the primary image. Our photo retouchers can adjust edges, corners, and more to make the layers appear natural. This process, which is similar to photoshop masking, is especially good for blogs and other marketing material which requires a subtly different image. When an editor changes words, the readers know nothing about the change. As far as they are concerned, every word came directly from the author. So, the publisher broadcasts the desired message as opposed to the one the author prepares. Modern photo editing uses exactly the same process for images. Our photo retouchers can adjust part or all of an image. They can also place multiple images together into a single photograph. The entire process is invisible to the viewers. They only see the final product. One of the most venerable graphic design services is also one of our most popular ones. However, our approach is different. Our graphic design services specialists begin not with samples or color schemes but with a conversation. A better understanding of your business helps us make the final product even better. Then, we work with you regarding color schemes, design shapes, and other things which make your logo functional, recognizable, and attractive. To take advantage of these graphic design services and take your e-Commerce or other business to the next level, contact us today. Test Any of Our Fantastic Services Now?